Meiri was one of some 70 speakers among the 800 participants at the fourth annual CannaTech conference in Tel Aviv, March 19-20. CannaTech was founded in 2015 as a platform to enable the identification and incubation of world-class innovative solutions for the cannabis industry. The conference also has taken place in London and is scheduled for Mexico and Australia later this year. While there was no product for sale in the vast exhibit hall, there was plenty of buzz from companies developing everything from medical inhalers, which deliver medical cannabis the way similar devices dose asthma powders, to specific treatments (at least two companies are working on cannabis alternatives to sleeping pills). The IVC Research Center counts 68 companies in Israel active in the medical cannabis field, employing some 900 people. From 2013 to 2017, more than $76 million was invested in Israeli medical cannabis startups. Many of those companies were on display at CannaTech, held in a trendy nightclub at the Old Tel Aviv Port. They included well-known names such as Tikun Olam, which grows and supplies medical cannabis to 12,000 Israeli patients a year (some 800 of them children), and up-and-comers such as Kanabo Research, which is developing cannabis oil formulations for use with its VapePod delivery system recently approved by the Israeli Ministry of Health. 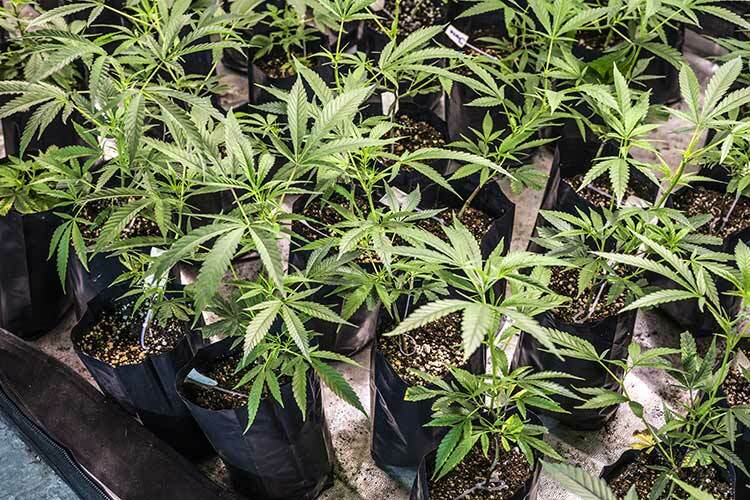 At the same time, it was reported in February that the Israeli government halted a plan to authorize the export of medical cannabis, a business valued at more than $1 billion a year. Nevertheless, Israel is the recognized leader in cannabis research and innovation, attested to by visitors from 40 countries at CannaTech. And not all were focused on medical applications. But the largest applause was reserved for the scientists. Tikun Olam’s head pediatric nurse, Na’ama Saban, described the benefits she has seen with her young patients. She cited a 1990s study in which kids with epilepsy were treated with medical cannabis and stopped seizing. “It was so successful we had to stop the trial. Instead, we gave all the children the treatment,” she said. Another study with epileptics from 2014 resulted in a 70 percent reduction in seizures with almost no side effects. “The results were unexpected – even to us,” Saban told the packed audience. Meiri, one of Israel’s cannabis research superstars, was a featured speaker later the same week at TEDxTelAviv. Meiri said he has seen in his lab that cannabis can kill cancer cells. However, there are hundreds of types of cancer, each with unique characteristics. Moreover, there are hundreds of compounds in cannabis. “Some don’t even have a name, just a number,” Meiri pointed out. And then there are the negative effects. If cannabis can tamp down a hyperactive immune system (which is how it can help patients with Crohn’s disease), would that have a less than positive effect for someone receiving immunotherapy treatments for cancer? All these questions are on Meiri’s chalkboard.